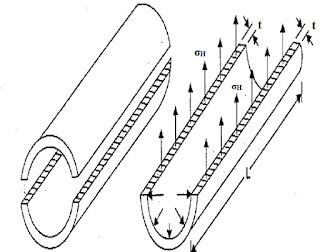 We were discussing the basic concept of thin cylindrical and spherical shells, bending stress in leaf spring, polar modulus of section, derivation of strain energy due to torsion and power transmitted by solid circular shaft in our previous posts. Today we will see here the stresses in thin cylindrical shells, subjected with internal pressure, with the help of this post. Thin cylindrical shell is also termed as a pressure vessel and such vessels are usually used in various engineering applications such as for storing the fluid under pressure. Boilers, LPG cylinders, Air receiver tanks are the best examples of thin cylindrical shells. A cylindrical or spherical shell will be considered as thin cylindrical or spherical shell, if the wall thickness of shell is very small as compared to the internal diameter of the shell. Wall thickness of a thin cylindrical and spherical shell will be equal or less than the 1/20 of the internal diameter of shell. Let us consider one cylindrical shell, as displayed here, subjected with internal fluid pressure P.
There will be two types of stresses, which will be developed in the wall of thin cylindrical shell and these stresses are as mentioned here. 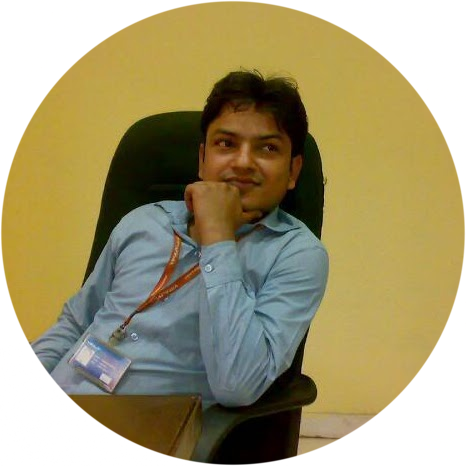 Stress acting along the circumference of thin cylinder will be termed as circumferential stress or hoop stress. If fluid is stored under pressure inside the cylindrical shell, pressure will be acting vertically upward and downward over the cylindrical wall. 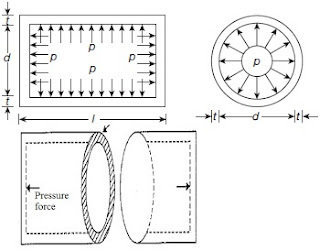 Pressure vessel will tend to burst as displayed here in following figure and stresses developed in such failure of cylindrical shell will be termed as circumferential stress or Hoop stress. 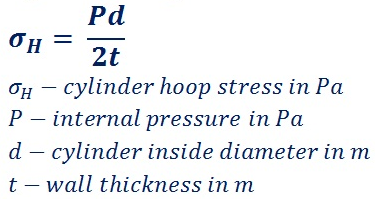 Circumferential stress or hoop stress developed in the wall of cylindrical shell could be easily determined with the help of following formula. 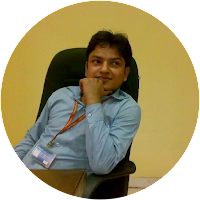 Stress acting along the length of thin cylinder will be termed as longitudinal stress. If fluid is stored under pressure inside the cylindrical shell, pressure force will be acting along the length of the cylindrical shell at its two ends. Cylindrical shell will tend to burst as displayed here in following figure and stresses developed in such failure of cylindrical shell will be termed as longitudinal stress. Longitudinal stress developed in the wall of cylindrical shell could be easily determined with the help of following formula. 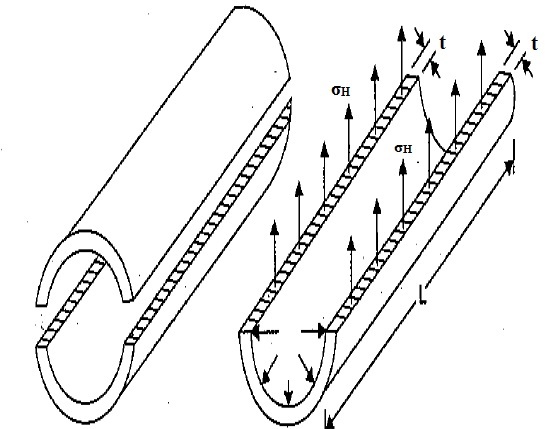 We will now derive the expression for circumferential stress or Hoop stress developed in the wall of cylindrical shell, in the category of strength of material, in our next post.